If you saw my review of the E45 Nourish&Restore lotion* (here) then you'll know I work with BzzAgent. 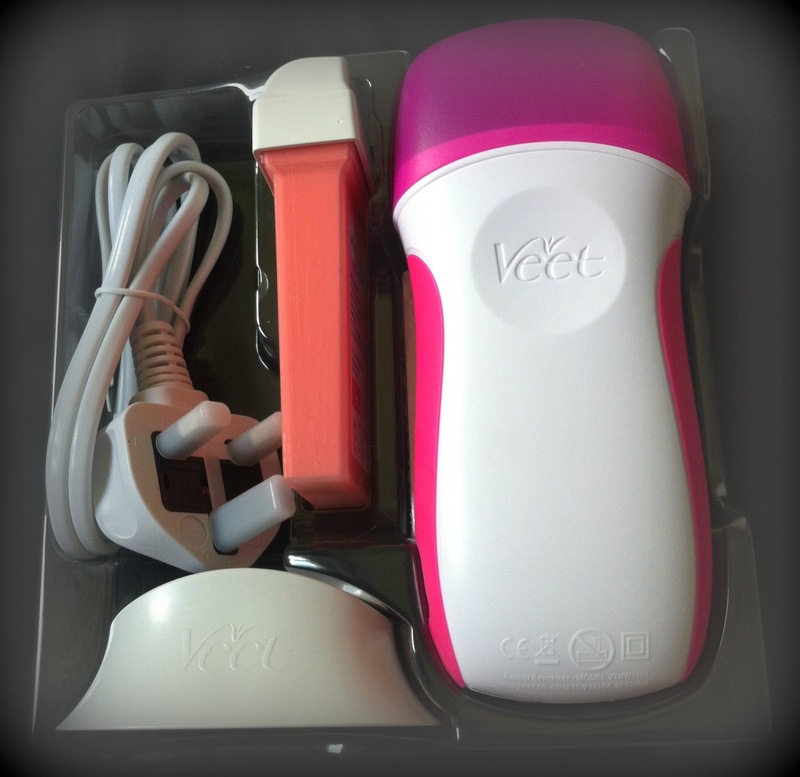 Recently they sent me the Easy Wax Roll-on Kit* from Veet to try out. 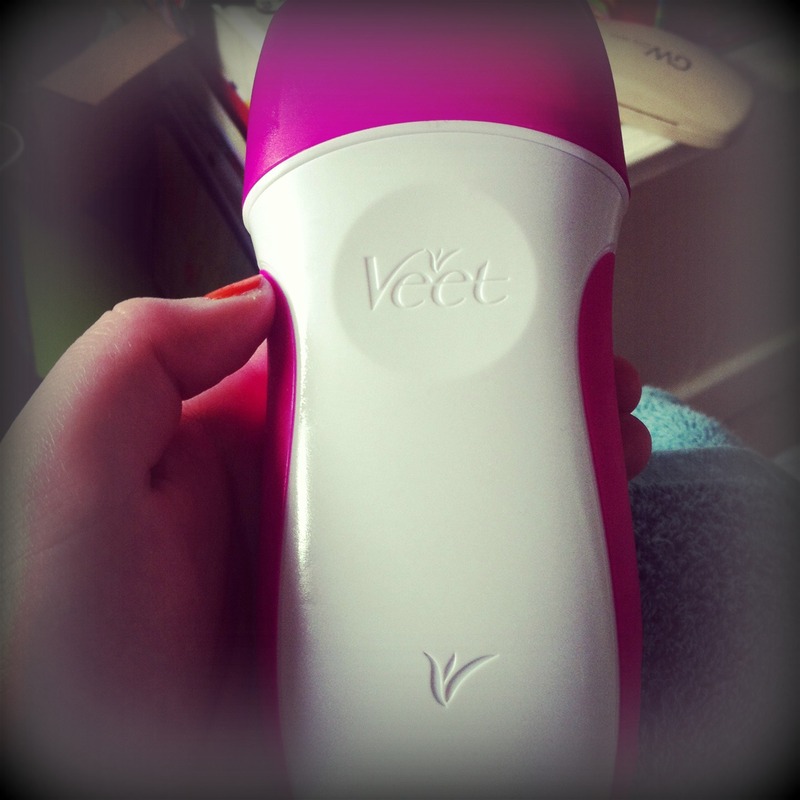 Now I love Veet. Their hair removal creams are the bane of my life, so easy and painless- I always have a tube of the stuff knocking around. But I've never tried waxing, it just hadn't interested me before because shaving/hair removal creams are just so easy to and quick. 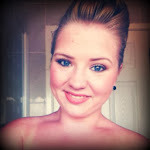 But the thought of having longer lasting results that waxing gives really won me over, so I gave it a try. Also note I have quite a high pain threshold so the pain wasn't putting me off that much! The kit came in a box like this with a larger cartridge of wax for arms and legs, and a smaller one for underarms and the bikini area. I wasn't brave enough to use the smaller one mind you. I was excited when this arrived and uploaded a picture on Instragram only to be told by a few girls that it was rubbish. But I love Veet so I wanted to love this! It comes with the device shall we say, a holster for the device to stand in, the waxing cartridges, wax strips and finishing wipes. Using it was simple, pop the wax cartridge into the top of the device and plug it in. It suggested you let the wax heat up for 20 minutes or so until it glides out smoothly on your arms/legs. I ended up having to leave it for 35, which wasn't a problem. It stands in the holster which is handy and there's a little red light to indicate when it's on. Simple right? Then you have to put it on. The instructions say leg hair shouldn't be too short, so I made sure I didn't shave my legs for a while prior to using this. The wax comes out smoothly and warm, but it felt very uncomfortable pulling the wax all along my leg hairs (gross right)! So I did a strip of wax and immediately lay a wax strip on top of it. I smoothed it on so it stuck good then ripped it off nice and quickly. It got the odd few hairs of but the majority were still left, along with a shed load of sticky wax on my leg! I tried again, only for it to still have the same result. 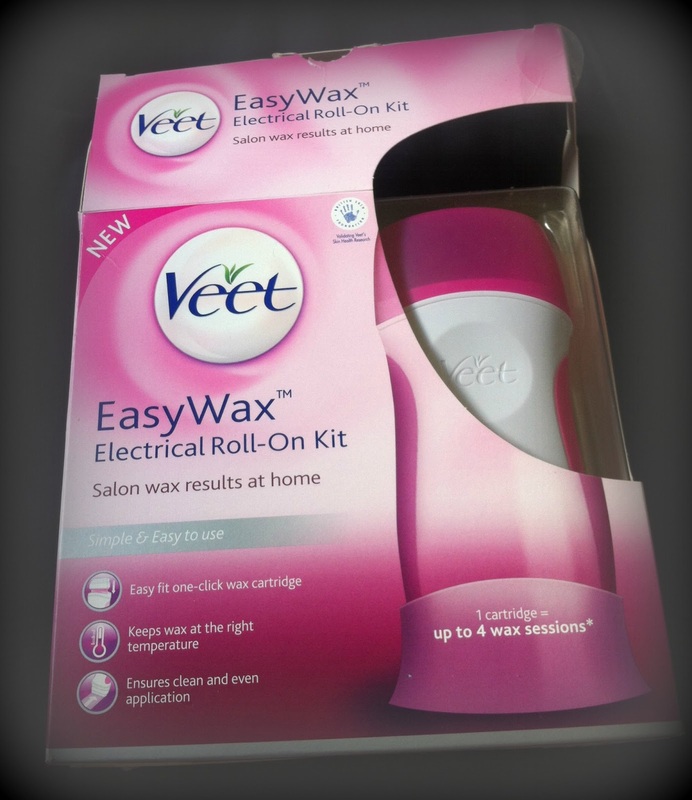 I then used the back of the waxing strips and a finishing wipe to try and wipe off the excess wax. Fail. It didn't work. Then I showered and scrubbed at it. Fail again. The wax ended up staying on my leg for 2-3 days, and all this time it was sticky and uncomfortable. But I tried again. This time I tried my arm because I generally like to shave my arms. The same thing happened again. No matter how hot the wax was and how smoothly it came out, it still tugged on my hairs very uncomfortably and the hairs never even came off the skin! I had such high hopes for this kit being such a worshipper of Veet products but I felt really let down. I think for now I'll just stick to hair removal cream and a cheapo razor! Have you tried this product? Let me know if you had good results and if I've been using it wrong! I was going to buy this just the other day. So glad I didn't now. Such a disappointment.